A beautiful dress by True for fall, Halloween and Thanksgiving! 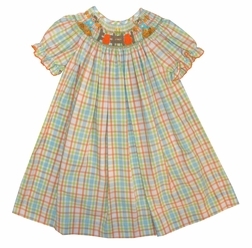 It is made with a pretty fall plaid fabric and bishop smocked. 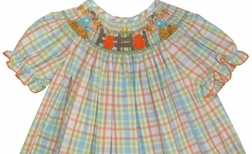 The smocking is hand embroidered with scarecrows (with thread hair!) and pumpkins. We just love it!